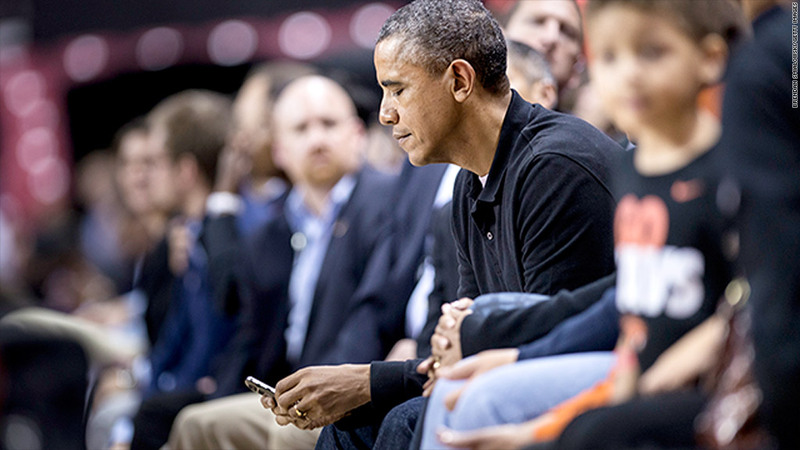 President Obama's BlackBerry was more difficult to create than you'd think. It was a rough day at the NSA in 2008 when President Obama asked for a smartphone. "It just really bothered a lot of people -- nobody wanted to put anything out there that wasn't completely secure," said retired NSA technical director Richard "Dickie" George in an interview with CNNMoney. 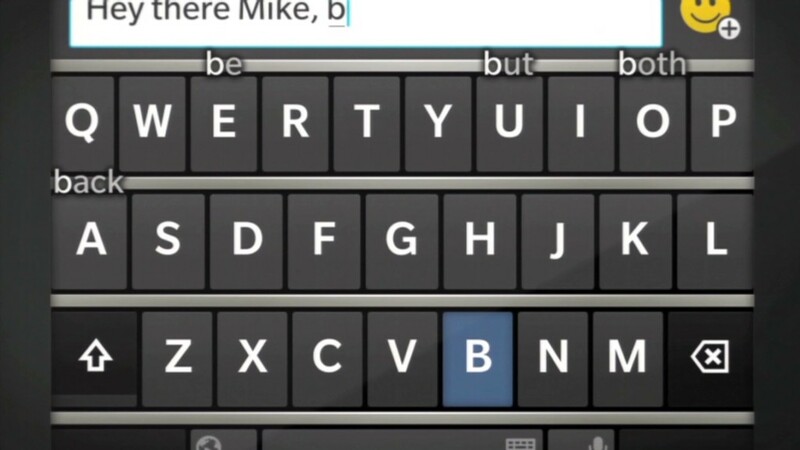 George's role was to review the BlackBerry's algorithms and write and engineer diagrams for the phone. In response to Obama's request, the NSA set up a lab where dozens of experts performed surgery for several months on a high-profile patient: the soon-to-be presidential BlackBerry. The course of treatment was to manipulate the device's innards to weed out potential threats to secure communication. According to George, the president simply wanted a phone that enabled him to communicate with his advisers. Though the president was a well known BlackBerry (BBRY) addict at the time, the choice of smartphone model was the NSA's, not Obama's, George explained. What functionality the president's phone actually possesses is secret -- and the NSA won't even confirm that he can use it to send a text or write an email (but it's a pretty safe bet it isn't used for Oval Office selfies). "There was a change at that point in time from taking whatever the government could build in the way of security equipment ... to a guy who said, 'ya know, I'm used to using this, this is great, I've got to be able to take advantage of this," George said. At the time there were only about ten phones that the president could contact directly on his device, but that didn't make the technology simple to develop. Both phones would either need to have the same encryption algorithms or use a gateway that would decrypt and encrypt the communications. That means the phones needed to speak the same secret language or have a translator fluent in both of their secret languages. Of course, mobile devices existed long before 2008. George couldn't say for certain which other presidents used smartphones. But if any did, they weren't exactly something that could be carried in a pocket. "You're talking, like a brick," George said. And if George W. Bush had one, "I'm betting he didn't know it was five pounds because I'm betting he didn't carry it." Basically, if Bill Clinton or either President Bush had a cell phone, it was carried by a member of his entourage and looked like the one Zack Morris used on the 1990s sitcom, "Saved by The Bell." Instead, George says, the secure device of choice from the '90s through early 2000s was the STU-III, or Secure Telephone Unit. These looked like regular telephones with a few extra phone lines connected. George also had a hand in creating the famous "Red Phone" early in his career. The phone -- which was not actually red -- provided the president with a secure connection to the Kremlin in Moscow. For the Red Phone, George's team determined the encryption algorithms. "The problem [was]...we didn't want to put our best classified algorithm in, cause you're giving it to the Russians." That is, it needed to be secure, but not too secure. It also needed to function properly every time the president picked it up. "There's your real problem. What if he picks up that phone and it doesn't work? I'm not worried if he picks up a cell phone and it doesn't work -- we're going to get yelled at. But if he picks up the hotline and it doesn't work...". So what does Dickie use for his personal communication? A BlackBerry. But he says when his contract is up, he'll probably switch.